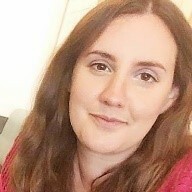 Hi, my name is Alexis and I’m the training manager for Dorset Mind. We’re supporting Douch Family Funeral Directors with mental health training and support to help eliminate stigma and raise awareness. When I first started this project, working with a funeral directors was an ‘interesting’ prospect, to say the least. I guess initially, all the deep-rooted stereotypes of what the funeral industry might be like were etched in my psyche. I imagined the offices themselves would be muted, somber, dark, and somewhere you’d simply want to get away from. In honesty, I also imagined that at least some of the people working there would follow that same bleak trend. A slight on my own ability to not stigmatise, despite my job; that has the key intention to reduce stigma in mental health. Anyway, what I discovered was quite the opposite. When I arrived at the Lesley Shand funeral directors branch, I could almost believe I had been thrown into an episode of Grand Designs, and walking through the door, the waves of surprise kept coming. What I was greeted by was a real buzz from passionate, caring, sincere people, working with their hearts. So far, I’ve spent two training mornings with around fifty members of the Douch Family Funeral Directors. The conversations were difficult, challenging, open and honest. The funeral staff led us down paths we didn’t expect to go, and I saw that some of these people were really struggling. With issues as varied as providing bereavement support to complex family units after a death, to being exposed to very real trauma, such as suicide and road traffic accidents, I swiftly saw it’s more than a difficult job. Together we realised that there are close parallels to the work being completed by our Blue Light Services; with repeated exposure to difficult events and every contact, in some way, leaving a trace, whether perhaps they had realised the impact or not. The need for staff in this profession to have a toolkit and resilience to look after themselves and understand that they are, after all, only human, is paramount. 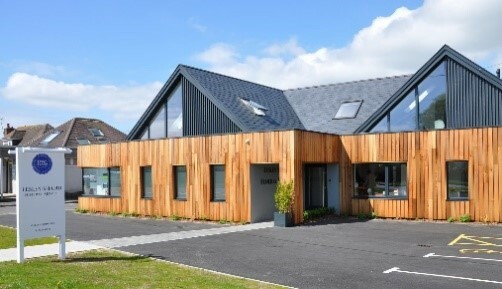 Through working with Dorset Mind and changing the conversations we have about mental health, these funeral directors in Dorset are starting to recognise some key things; that their staff, who are incredibly driven, have chosen to do a job that is more emotionally draining than other professions. In the same way a fireman trains in a gym, they appreciate that employees exposed to emotionally difficult situations must be supported to look after their mind and mental wellbeing. The Douch Family Funeral Directors also understand that simply recognising this isn’t enough. That’s why, over the coming year and a half, Dorset Mind will be working to deliver training based on what we’ve learned together, that focusses on peer support and trauma training. It’s comforting to see that a business built on looking after the heart of others, is looking after the hearts of its employees, too. It’s the beginning of our journey together, and it won’t be an easy one, but I’ve been amazed by the Douch Family Funeral Directors, and by the spirit of their staff. I’m proud to say that Dorset Mind are starting to make a difference. To find out more about funeral directors in Dorset and how we can help you, please contact your nearest Douch Family funeral directors branch.